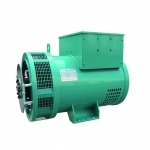 TFW2 series three-phase brushless excitation synchronous alternators. Designed and Authorized by Genco @ 2008. All rights reserved.